A2z Carports have been in business for over 15 years and manufacture custom Carports in all different shapes and sizes. We manufacture robust and strong GRP beams and the sheeting we use is 87% transparent allowing sunlight through but blocking harmful UV rays. 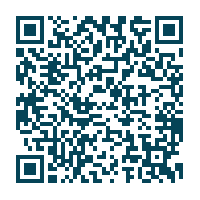 Browse our website to learn more and see installation examples. 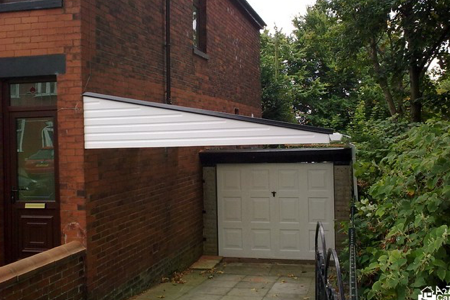 A Carport is an excellent investment for a house and it's owner. 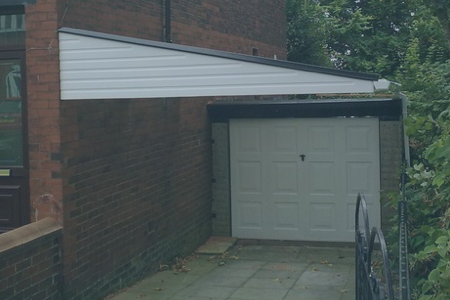 Our high quality Carports are built to withstand weather conditions and all Carports come with a 10 Year Guarantee. 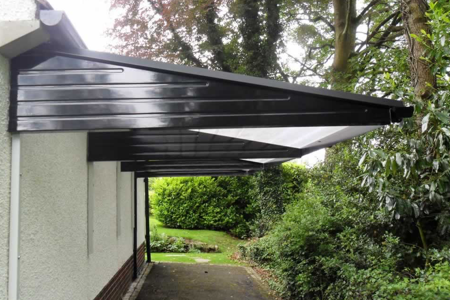 They are made from durable Glass Reinforced Plastic (GRP) which will easily withstand falling tiles and A2z Canopies installs guttering as standard. We have standard projections 2.5/3.05/3.66 Meters and the length of the carport depends on your requirements. 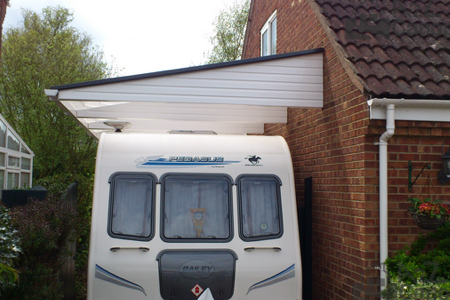 A2z Canopies Carports are installed with single Length sheets for both 5M and 6M. 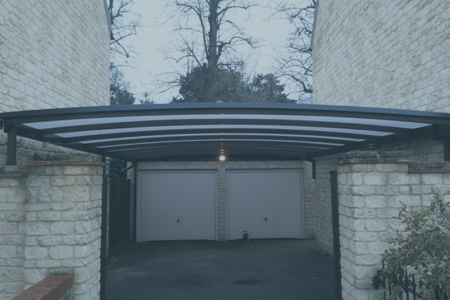 We are the only company to supply 6M x 1.3M length sheets for 6M Carports meaning no vertical joins ensuring greater improved life-span of the Canopy/Carport. We require no deposit on standard projections and colours, just pay when it has been installed and you have inspected it.